When in Wisconsin, drink wine. 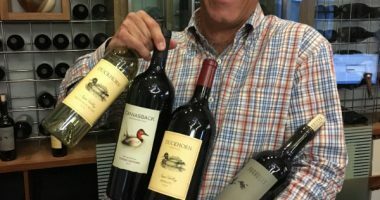 Ok, that’s not something you’d expect to hear in this part of the world but the fact is you’ll find many winemakers from Wisconsin who have relocated to Oregon, Sonoma and Napa Valley. 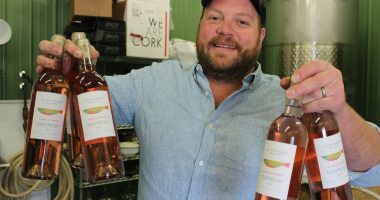 In this case, Casey Stringer, Owner and Winemaker at Stringer Cellars gets his grapes from select vineyards in Napa Valley and has made his wine in Wisconsin. But there is more to it than that. 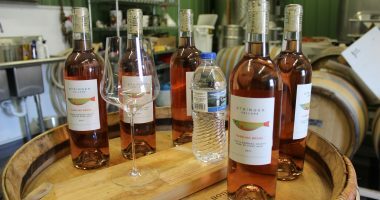 Casey has an interesting story beginning by making wine in various parts of the world. Then he was led back to the midwest. Imagine that!